The Chautauqua Center welcomes you to our 2019 Care Coordination Summit. Thank you for joining us to learn more about who’s who in Care Coordination Agencies and local community resources. At this summit we have a special treat! 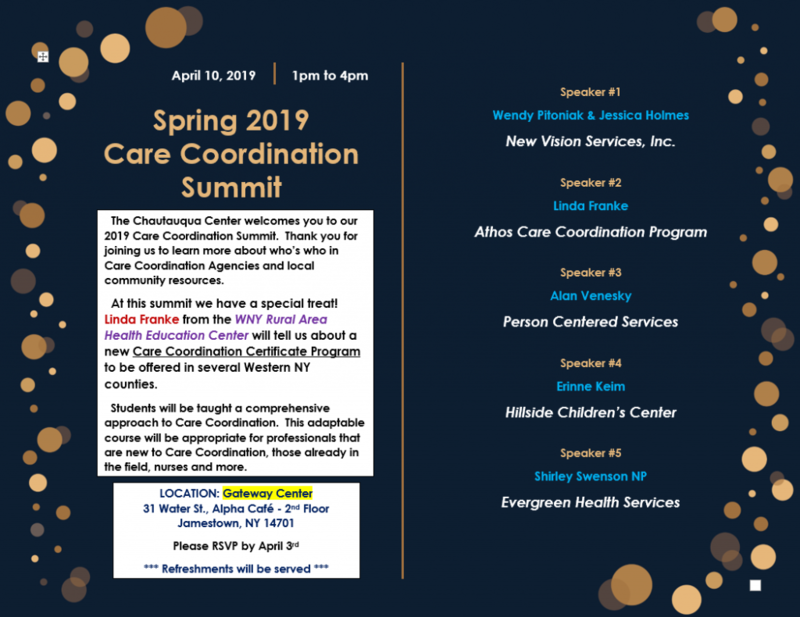 Linda Franke from the WNY Rural Area Health Education Center will tell us about a new Care Coordination Certificate Program to be offered in several Western NY counties. Students will be taught a comprehensive approach to Care Coordination. This adaptable course will be appropriate for professionals that are new to Care Coordination, those already in the field, nurses and more.